March 28, 2019 | U.S. Chamber of Commerce | Washington D.C. The HillVets 100 Gala is the premiere black tie event for the veteran and military community that highlights the most influential and impactful veterans, servicemembers and supporters from 2018. The HillVets 100 includes veterans of all eras, from the Vietnam War to the more recent Iraq and Afghanistan Wars. Selectees represent a broad spectrum of veterans from artists to elected officials to business executives, among others. Proceeds from the function will support HillVets House, our flagship congressional fellowship program, which places veterans in a congressional fellowship as an entree into politics, public policy, and government service. In less than two years, HillVets House has assisted more than 30 veterans transition into a successful career pathway in policy and government. 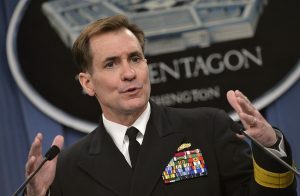 Rear Admiral John Kirby, USN (ret), is a CNN military and diplomatic analyst and most recently served as Assistant Secretary of State for Public Affairs. Kirby appears regularly on The Situation Room with Wolf Blitzer and across all of CNN’s programming providing analysis on issues related to the U.S. military, defense, foreign affairs and diplomacy. 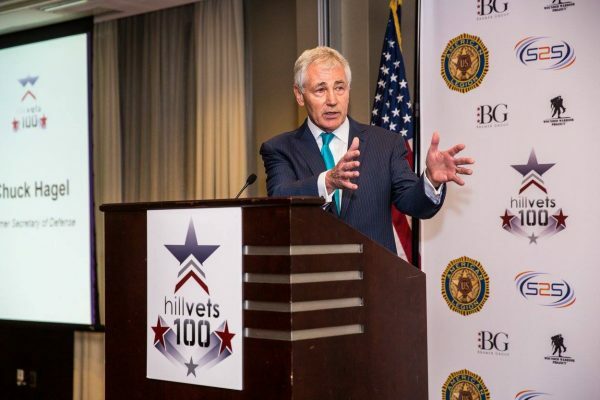 From Sergeant to Capitol Hill Staffer, Senator and United States Secretary of Defense, we are honored to have Secretary Chuck Hagel as our Honorary Chairman for our Annual HillVets 100. Secretary Chuck Hagel served as the 24th Secretary of Defense from February 2013 to February 2015 and took the significant steps necessary to modernize America’s partnerships and alliances, advance the rebalance in Asia-Pacific, bolster support for European allies, and enhance defense cooperation in the Middle East while overseeing the end of America’s combat mission in Afghanistan. HillVets is the community of Veterans, Service members, and their supporters interested in governance, international affairs, policy, and politics. We strive to open doors for our members and to provide them with contacts, education, and resources to continue positive career progression.